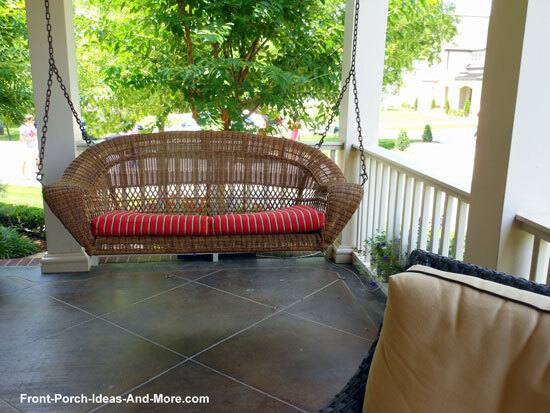 Country music songs and lyrics often include references to front porches and front porch swings. From getting your first kiss to holding hands on the swing, country music captures the true essence of what a front porch means in the lives of many. Mary and I have collected several songs we believe you will enjoy. Some are well known like Garth Brooks' "Somewhere Other Than the Night" and Elton John's "Porch Swing In Tupelo". Others may not be as well recognized but capture the love of porches just as well. Elton John - "Porch Swing in Tupelo"
The song is about Elvis Presley. It was inspired when Bernie Taupin (co-writer) sat on Elvis' porch swing at his birthplace home. "There's a porch swing in Tupelo in the shade of the south..."
Dolly Parton - "Sittin` on the Front Porch Swing"
Just sittin' on the front porch swing"
Lonestar "My Front Porch Looking In"
This song debuted in March 2003 from their album "From There to Here: Greatest Hits". In the song the front porch is the stage from which he views his family with great love and realizes how beautiful they are to him. Like my front porch looking in"
Kenny Rogers "In My Old Age"
Mary and I really enjoy this song which is from Kenny Roger's album - "Love Is Strange". The song captures the true essence of lasting love. Pam Tillis "Maybe It Was Memphis"
The main character in the song is recalling a former lover that she encountered in Memphis, Tennessee from her front porch swing. The song was nominated for Country Music Association's Song of the Year in 1992. Talking that way, so soft to me"
Great song reminiscent about what it was like years ago and memories of spending time on the front porch. If the world had a front porch like we did back then"
A fun song inspired by Cjaye being locked out of her house and on the porch in her underwear. She wrote this song about a fella who isn't spending enough time with her and she's putting him on the porch! 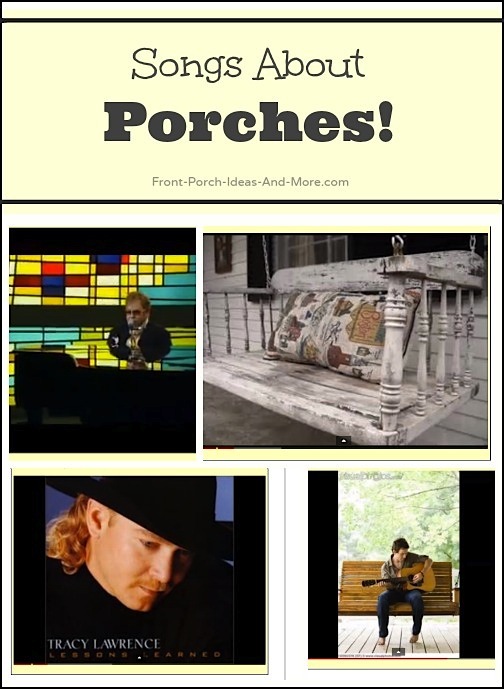 You're sleeping on the porch"
We hope you enjoyed these country music songs about porches! 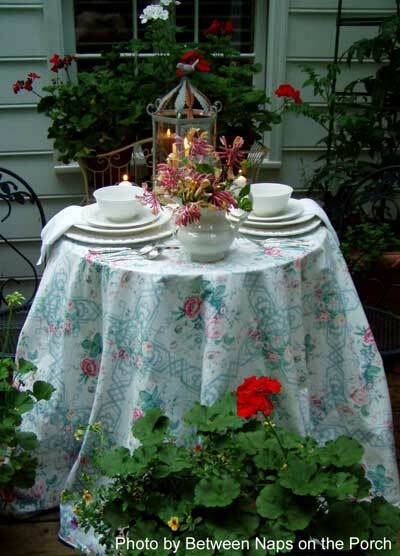 Do you know of other porch songs or artists/songwriters (doesn't have to be country) who we could share here? We'd love to know so we can post for our readers to enjoy. See how porchfests have expanded across the country - bands playing on porches!